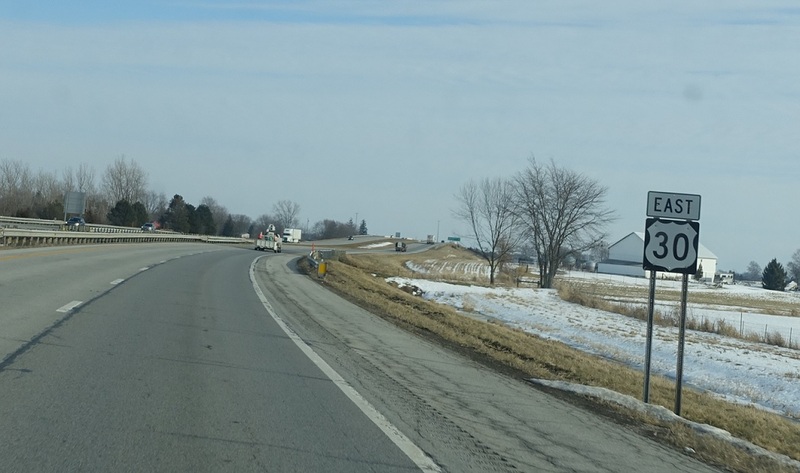 Reassurance shield after the 66 junction as we head out of Van Wert County. 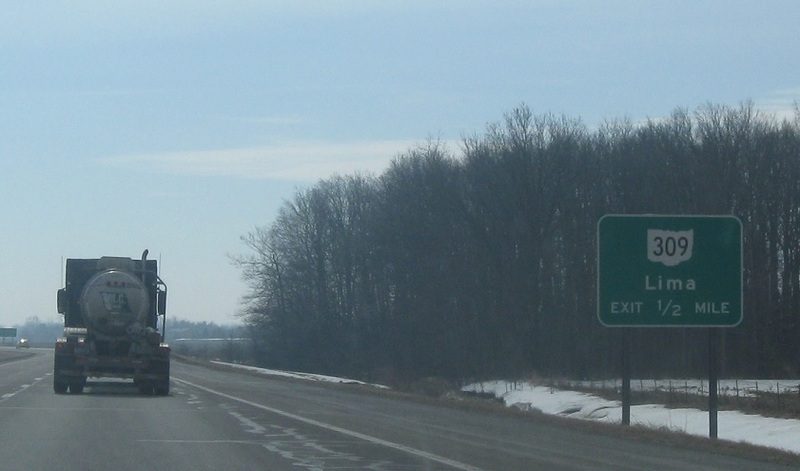 In a mile, we’ll approach SR 309. 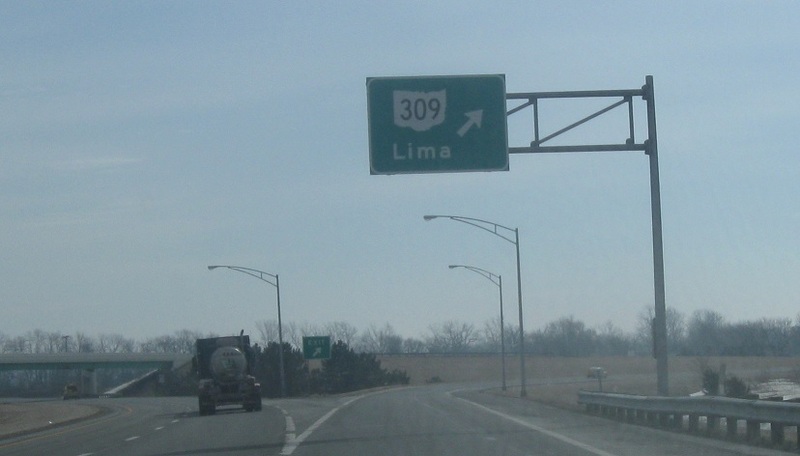 1/2 mile to SR 309, which follows the old Lincoln Highway routing. 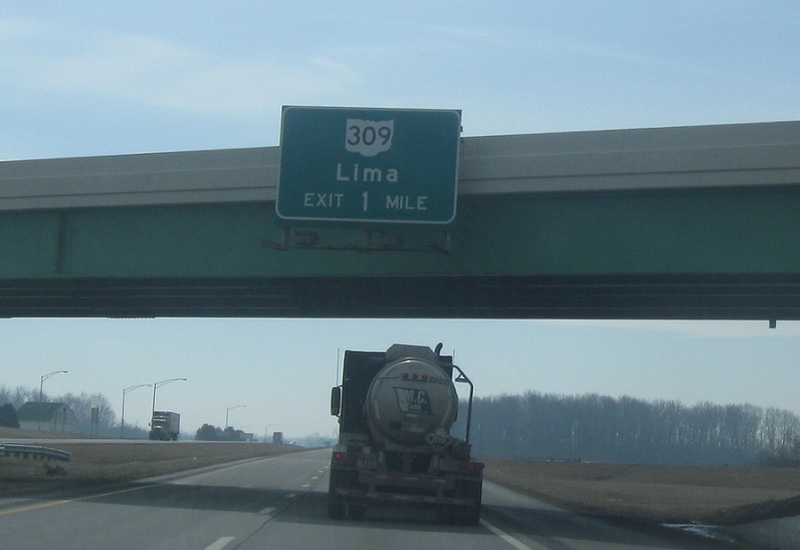 Exit for SR 309 to Lima.